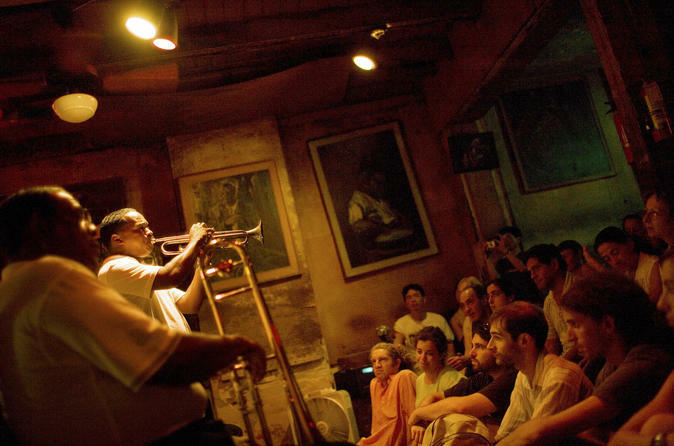 Dig into the musical history of New Orleans with this 2-hour music and heritage tour. Listen to songs and the stories behind them as you learn more about the immortals of blues, jazz, gospel, and rock n'roll that have been a part of this city. Hear about Louis Armstrong, James Booker, Fats Domino, The Meters, Allen Toussaint, Professor Longhair, Buddy Bolden, Mahalia Jackson, and many others who are part of 300 years of musical heritage. Meet your guide, Keith (a Louisiana record man with more than 20 years record business experience), at the Louisiana Music Factory on Frenchmen Street - the most musical street in New Orleans. The aural-visual walking tour is accompanied by Bluetooth speaker capability to provide musical accompaniment of the artists and locations along the tour. One of the first stops is Cosimo's Sound, second studio home of Cosimo Matassa. The former banana warehouse was home to masterful recordings that made up the 'New Orleans Sound' as professed on vinyl by the likes of Allen Toussaint, the Meters, and Lee Dorsey. Stops in Armstrong Park include Congo Square and the Louis Armstrong statue. While in the Treme, America's 1st African-American neighborhood, you'll hear about their influence in New Orleans music and heritage. Cross over N. Rampart back into the French Quarter stopping at what some call the 'House of the Rising Sun.' Explore the metaphoric use of music in cultural storytelling. The Royal Orleans Hotel tells of the heady days of rock n'roll when the Grateful Dead, Jefferson Airplane, the Allman Brothers, Little Feat, and Led Zeppelin hit all the haunts. Debauchery and music ensued. Dr. John calls James Booker 'the best black, gay, one-eyed junkie piano genius New Orleans has ever produced.' Hear why at the former Toulouse Theatre. Also hear about another grand pianist popular in music today who was taught by Booker. You might also hear about Irma Thomas and her Grammy win, or how the blues were born.